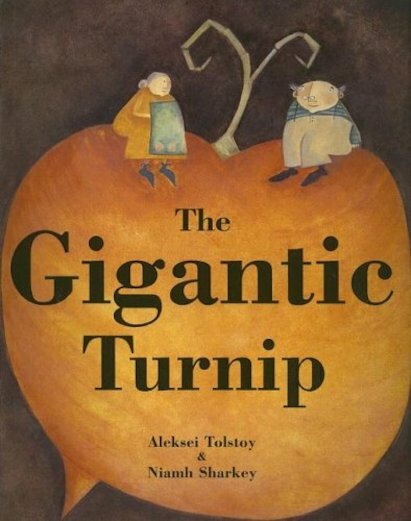 A giant turnip is stuck in the ground. It would be perfect for dinner – but the old man can’t pull it out! With the help of an old woman, one cow, two pigs, three cats, four hens, five geese and six canaries, will that pesky turnip come out of the ground? This beautifully-told traditional tale is ideal for reading aloud. Featuring stunning rustic-style artwork, it is a counting book, an animal book and a book of the seasons, rolled into one cyclic narrative. Winner of the Books for Children Mother Goose Award.